Bump - perhaps a candidate for PWC? They'll probably end up moving to Collins Square or one of Y3 or Y4 at Victoria Harbour. They actually mentioned this one as an option in the AFR, but I think they were just tossing around office projects on Collins street. Love this... so bloody clever. And works beautifully around the two significant heritage corner buildings. Best street and location this end of town. 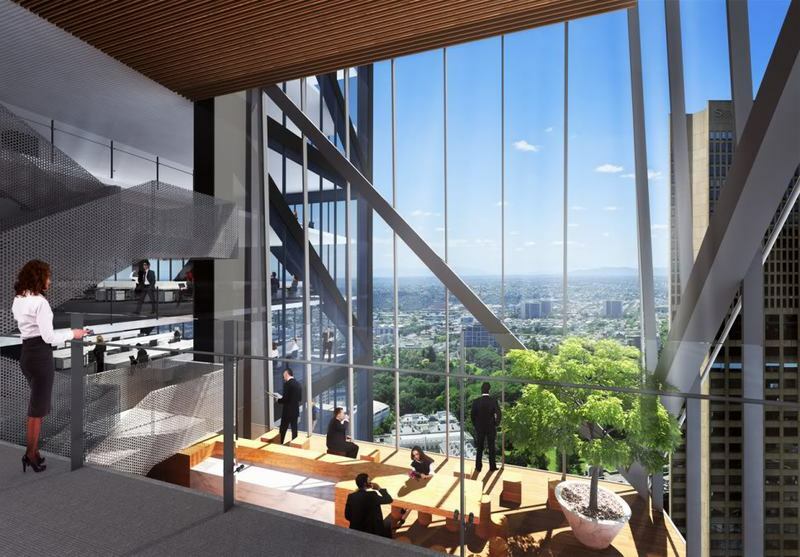 >> The Brisbane-based investor also hopes to get moving within months on a proposed $550 million office tower at 80 Collins Street in the CBD. 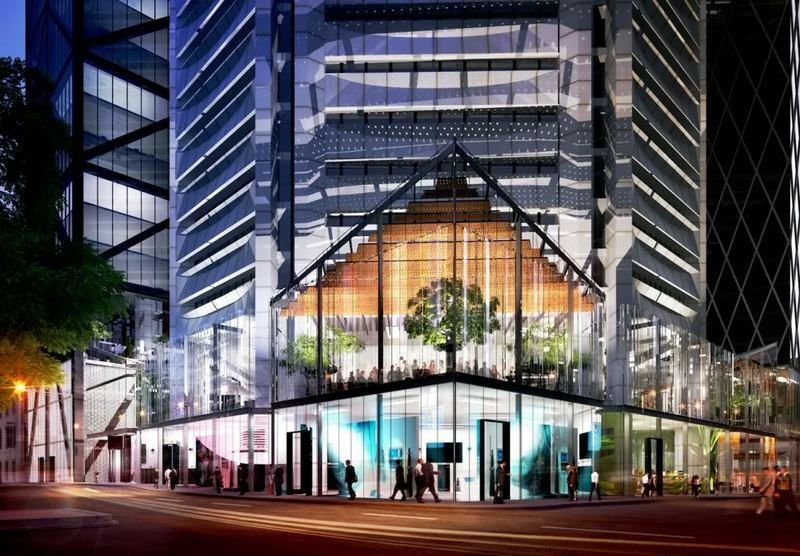 The 45,000-square-metre premium tower has been approved and agencies Jones Lang LaSalle and Knight Frank are now looking to land tenant pre-commitments. 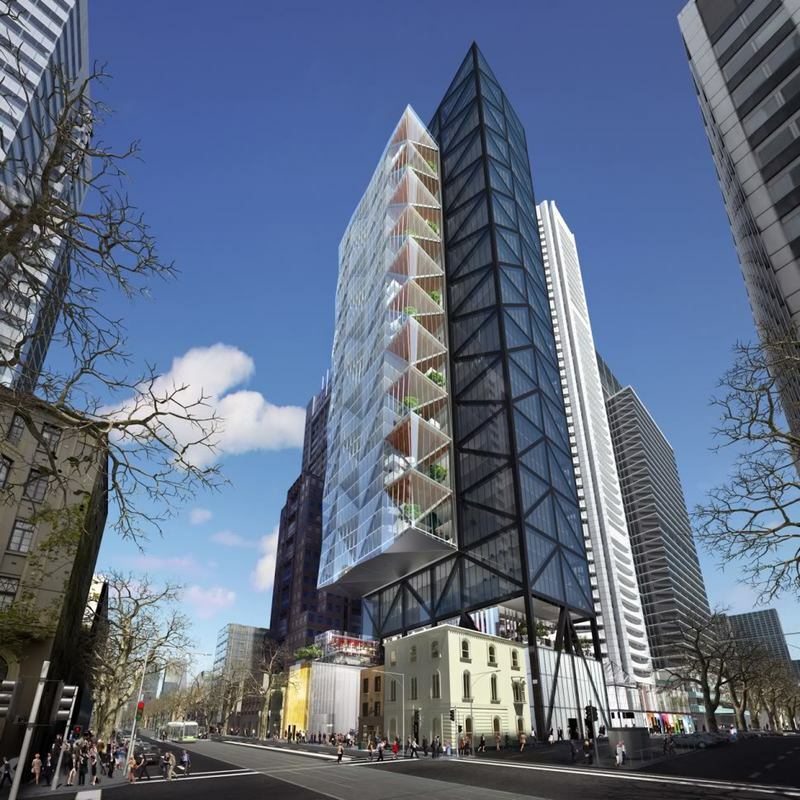 >> Meanwhile, at the Paris end of ­Collins Street, QIC has already begun a tender process for the 39-storey tower. “Based on the existing levels of leasing interest received to date, we are confident of works commencing in early 2014,” Mr Leigh said. 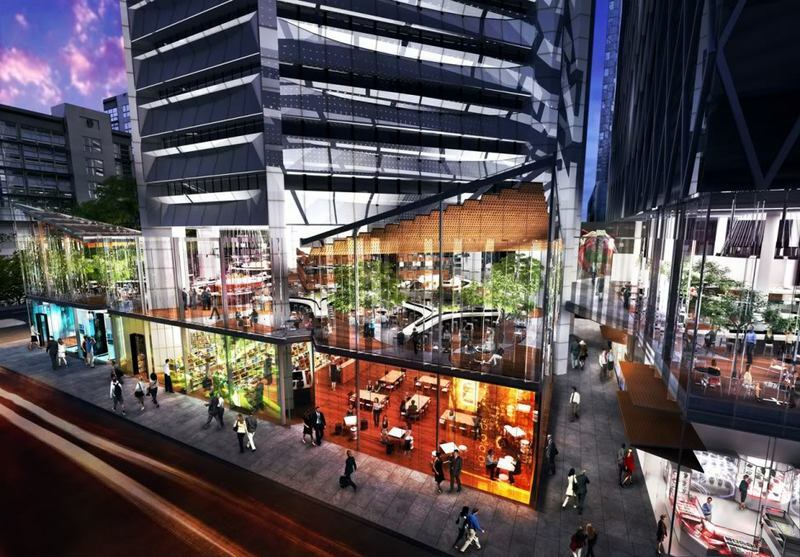 QUEENSLAND Investment Corporation's real estate division is in talks with blue-chip tenants Macquarie Group, PricewaterhouseCoopers and King & Wood Mallesons to take up major leases in the office component of its $550 million development on Collins Street in Melbourne. 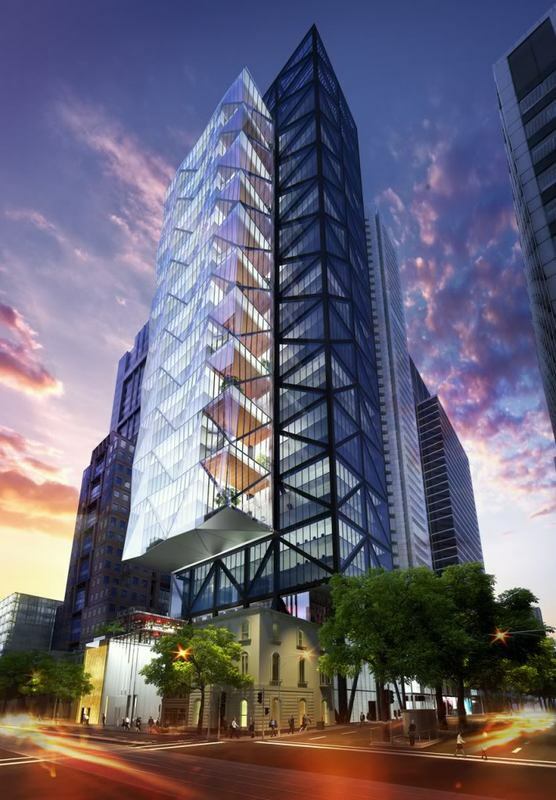 QIC recently issued a tender for a builder at 80 Collins Street that will include a 39-storey blue-ribbon tower. 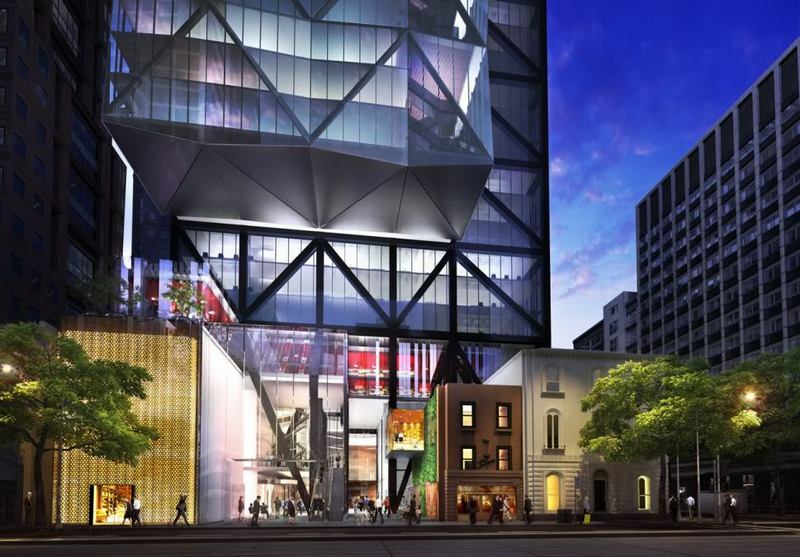 The development will deliver 45,000sq m of office space and will also comprise 5800sq m of high-end retail space on Collins Street. 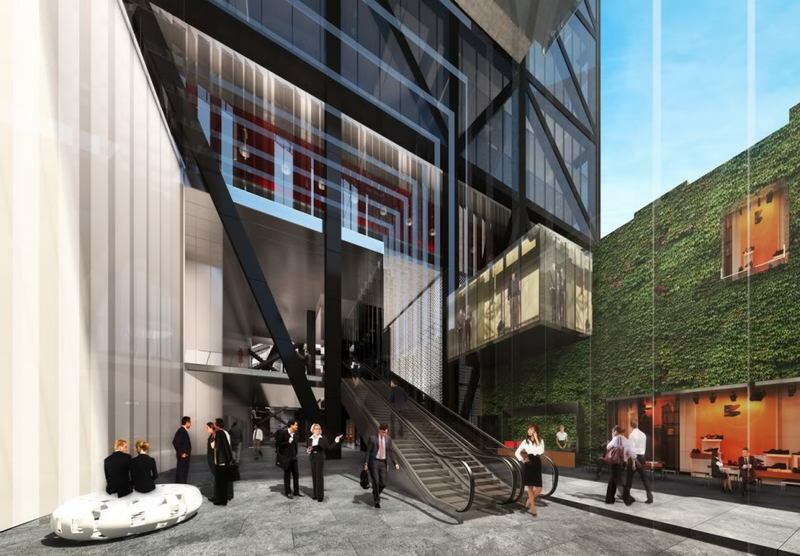 QIC is also planning a 250-room hotel at the site. It will the tallest office tower built in Melbourne since 1991. Pardon me but how has this gone from 44 to 39 to 36 levels? QIC quote it as a mixed use (office + retail) 36 level building. 36 levels of office space, 39 levels overall including plant and ground floor. It doesn't do much for the skyline . From the above render it looks as if its been there all along . Thats something good i guess that it makes no impact . Wouldn't say it's particularly good that the 'tallest office tower built since 1991' makes absolutely zilch impact on the skyline. Ryan do you know if QIC has a tenant confirmed? When 100-year-old Joan McClelland ran the Joshua McClelland Print Room in Collins Street in the 1930s, she parked her car outside all day. Nowadays, harried workers juggle myki cards, while hipsters on bikes look for bike racks. The city's cultural heartbeat at the Paris end is undergoing a renaissance by the Queensland Investment Corporation - owner of Nauru House - which is splashing $550 million at 80 Collins Street on a 39-storey tower. With the state government as a major tenant, the development will include a 250-room hotel and a glamorous retail precinct with desirable tenants believed to be Apple and American fashion designer Tom Ford. 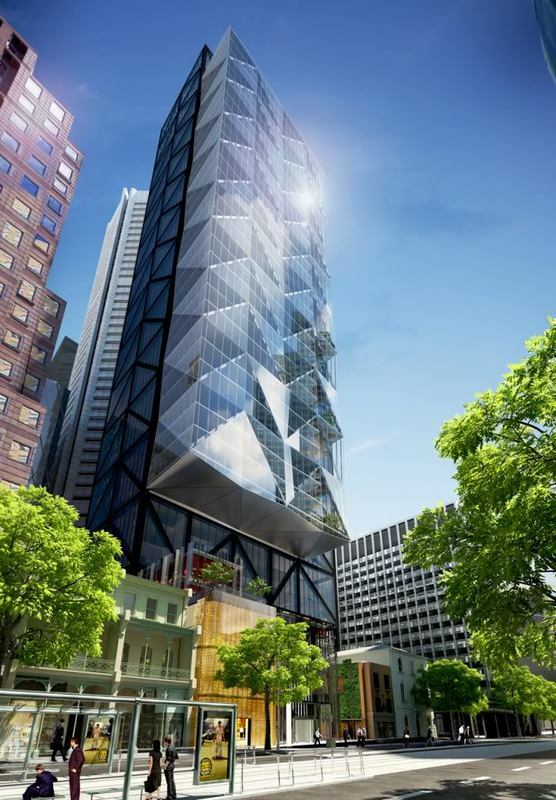 QIC Global Real Estate managing director Steven Leigh said construction of the development, fronting the desirable pocket on Collins, Exhibition and Little Collins streets, would begin this year and be a flash new sibling for the 52-storey Nauru House that was built in 1977. To get things moving, a pop-up street-food quarter called Rue & Co is opening in the fairy-light-decorated courtyard on May 2, and to comply with hipster cred, three brands will operate out of shipping containers: Jimmy Grants by George Calombaris, Kong BBQ by Chris Lucas, and St Ali by Salvatore Malatesta. Sounds like they're the tenant for the 39-storey tower. State Govt as a tenant is interesting.